It's likely you listen to music mastered on these headphones. 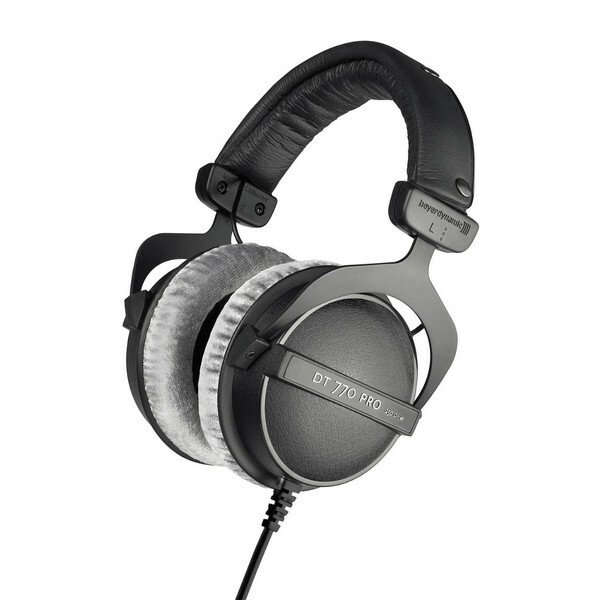 The beyerdynamic DT 770 Pro Headphones are the studio standard, high-end reference headphones. Designed specifically for mixing, mastering, and monitoring. The DT 770 Pros provide high-resolution audio thanks to the wide frequency response and premium components. Custom bass reflex technology creates a powerful low-end. Combined with precise mid-range and high-end frequencies you get a rich and supremely accurate sound. 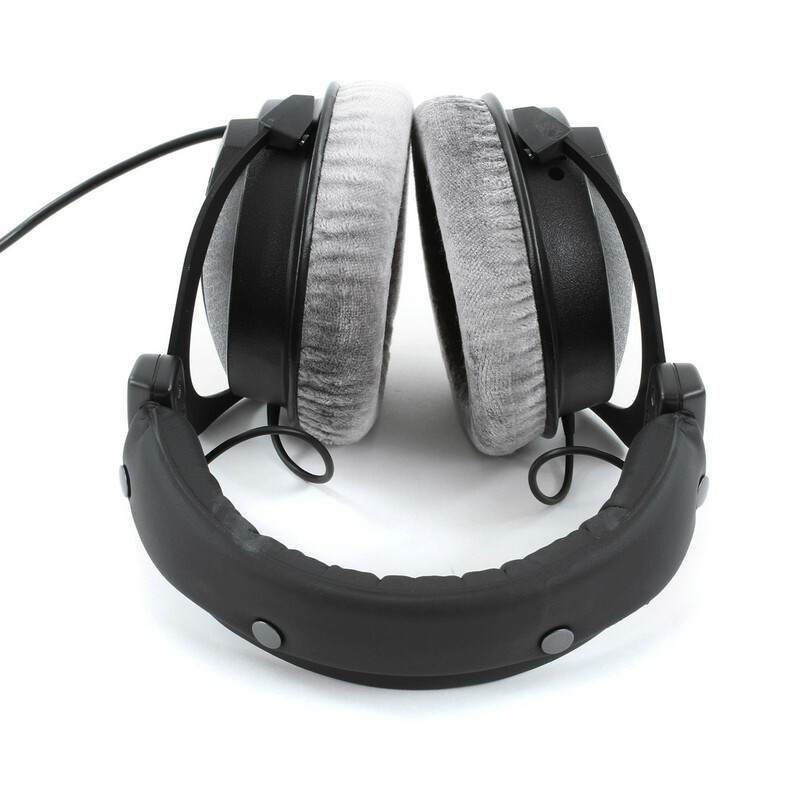 The closed over-ear design also delivers effective sound isolation. beyerdynamic also take great pride in making you something that will stand the test of time. Note: The 250 Ohm impedance means these are better suited to hi-fi, studio, and live applications. 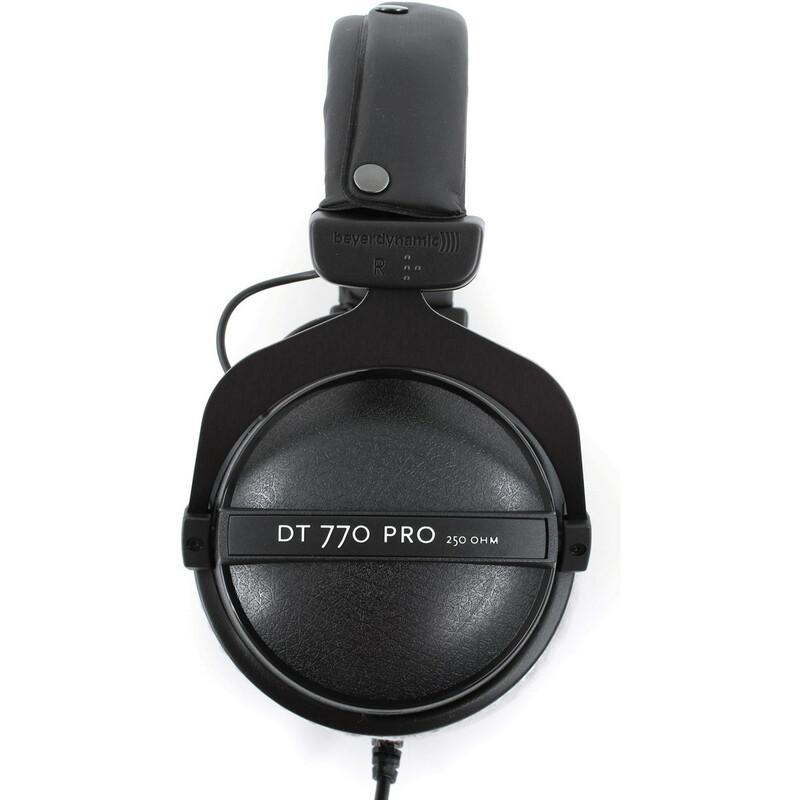 A constant in the music industry - the DT 770 Pro Headphones are ideal for studio use. Thanks to the wide frequency response and exceptional audio fidelity, they allow you to record – confident you’re hearing the real thing. An extended frequency (5Hz - 35kHz), allows you to hear every subtle nuance from your source audio. Its high sound pressure level abilities mean you can turn up the volume to maximum without degrading the audio quality. That means high-end audio in the most demanding situations. The impressive acoustic definition captures musical details that conventional headphones just don’t pick up. The result is pristine audio, with sparkling highs, backed-up by a powerful low-end. Get the right sound anywhere. Thanks to specialised bass reflex technology you get improved bass response for a powerful low-end sound. Combined with the sound isolation from the closed back design, you can get accurate sound wherever you listen. You’ll be able to listen for hours in absolute comfort. 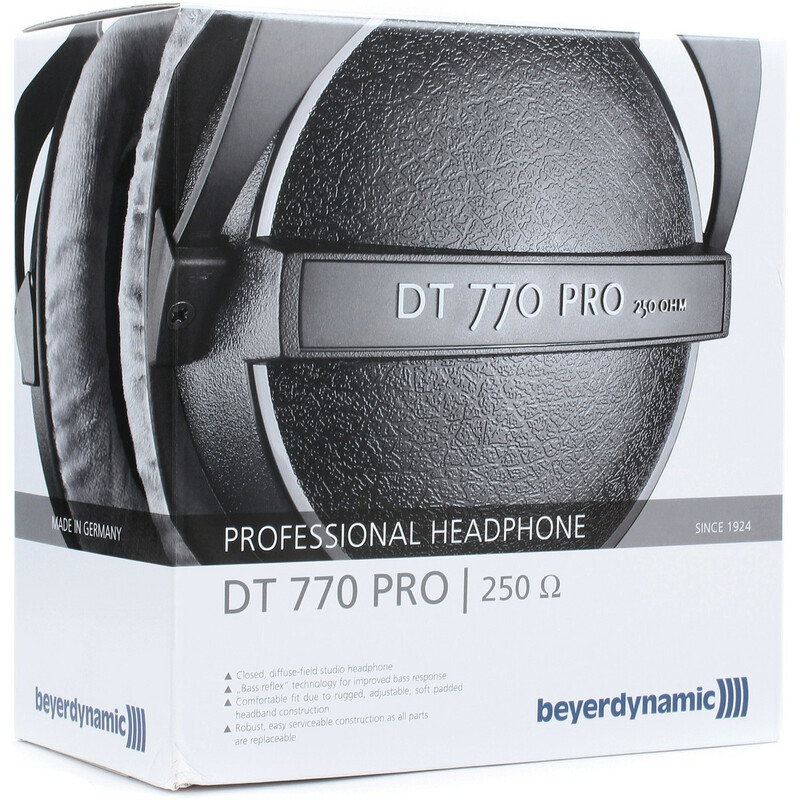 beyerdynamic went to great lengths to make sure the DT 770 Pros minimised listening fatigue. The soft, over-ear pads get you close to the audio drivers without sacrificing any of the relaxing fit. 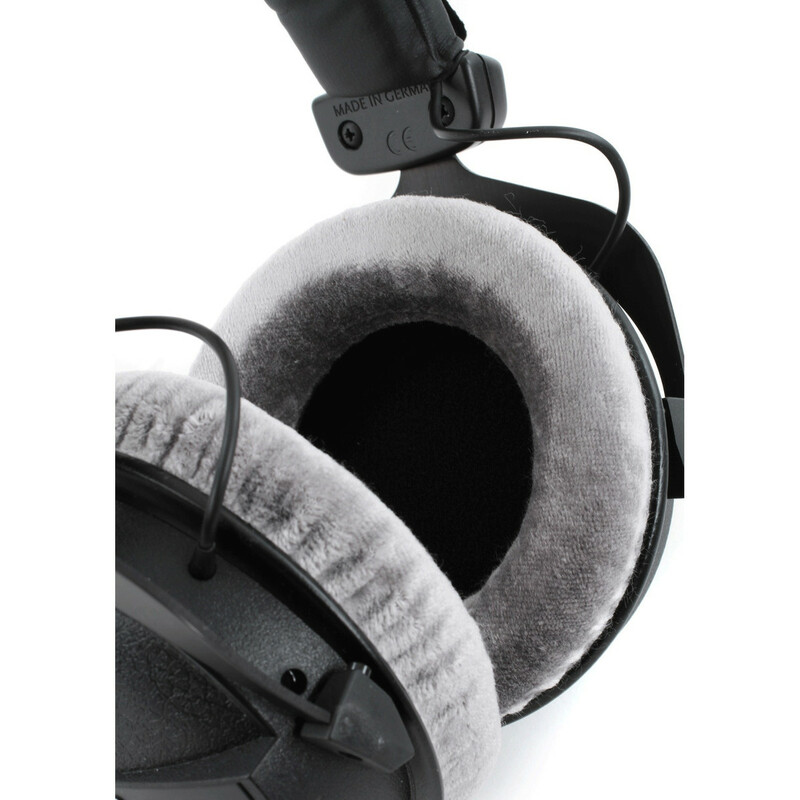 To improve the effect, the DT770’s are fitted with an adjustable headband, which is surrounded by leather cushioning. Underneath the comfort, the materials used are incredibly hardwearing. Built in Germany to last the testing nature of life in the studio, using steel, durable plastics, and leather. Additionally, the DT 770 Pro comes complete with a drawstring bag for storing your headphones and a 6.35mm (1/4 inch) jack adapter.